Cleaning of the orchard: The environment in and around the orchard is constantly kept free from all plant debris and weeds so as to prevent the buildup of pathogen and pest populations. Net house cultivation to keep out the ringspot virus-carrying aphid vectors: Choose soil with good drainage, make raised beds and use mulching to keep out weeds and preserve soil moisture. Healthy seedlings: Select healthy seedlings free from viruses and other diseases and pests. 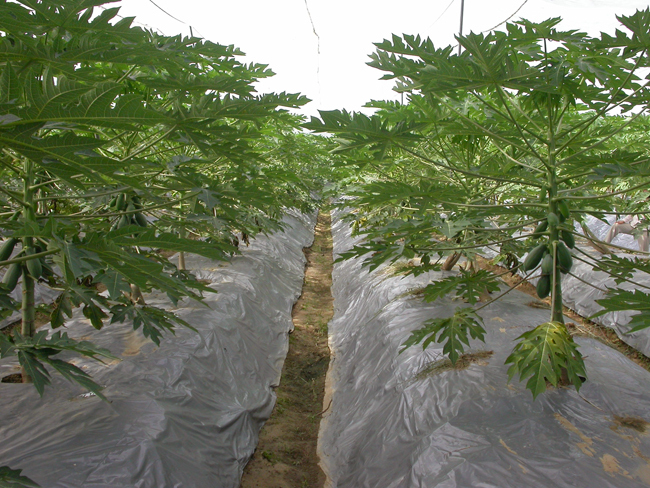 Monitoring: After transplanting, the orchard is closely monitored for the type and extent of diseases and pests every week so as to determine the appropriate control timing and methods. Pay particular attention to powdery mildew at the seedling stage, powdery mildew and root rot during growing period, Phytophthora blight, anthracnose and stem-end rot during flowering and fruiting, and the population of spider mites. 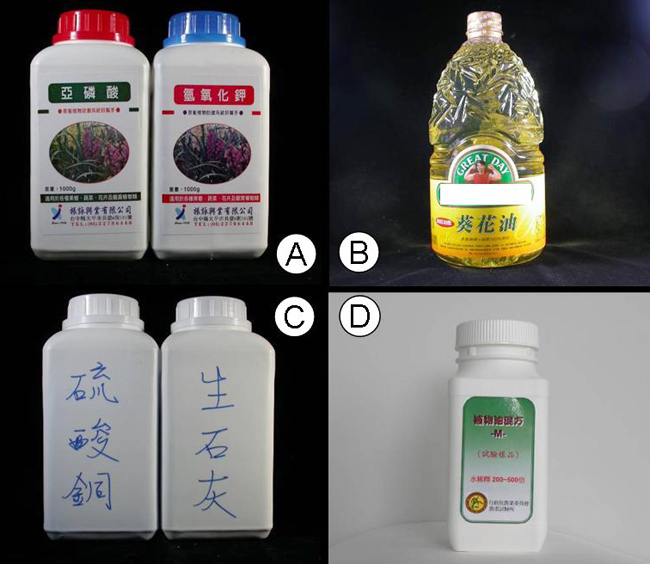 Non-synthetic pesticide control measures: 1) Sprays of neutralized phosphorous acid once a week for three weeks before the raining season to prevent the occurrence of Phytophthora blight; 2) foliar sprays of 0.2-0.5% emulsified sunflower oil at the initial occurrence of powdery mildew to limit the further spread of the disease; 3) sprays of 4-4 Bordeaux mixture to control bacterial and fungal diseases; and 4) sprays of botanical pesticide formula M when the spider mite population density exceeds 10 per leaf. The abovementioned control measures are comparable to chemical pesticide controls for powdery mildew, anthracnose, stem-end rot and spider mites, and superior to chemical pesticide control for Phytophthora blight. And the costs of almost all nature-derived materials are cheaper than chemical pesticides. Hence, an employment of the above integrated pest management measures shall contribute to producing high-quality papaya without pesticide residues so as to protect the consumer’s health as well as to secure environmental integrity.